Most audio equipment (such as TVs, cable boxes, CD players, and gaming consoles) only output audio signals through digital optical or coaxial connections. This limitation can prevent you from outputting sound to your stereo equipment, which may only accept analog signals. 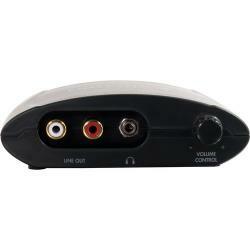 The black Digital to Analog Audio Converter from C2G converts digital audio signals to analog. Once in analog format, the output audio signals can then be distributed up to 150? (45.72m) away. This provides flexibility for equipment placement and eliminates the need to purchase digital repeaters. Moreover, this plug-and-play solution requires no additional software or drivers and supports Windows 7. 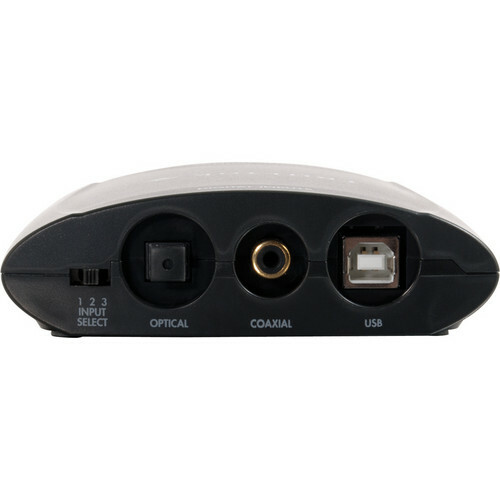 Up to 3 different devices can be connected at the same time using S/PDIF coaxial, TOSLINK optical, or USB input. This not only accommodates a variety of equipment types, but also allows for multiple configurations based on your customized setup.